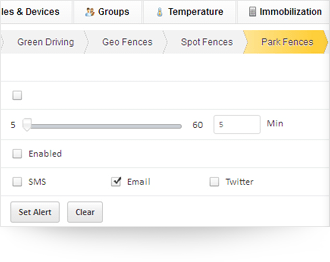 Soon after you park your vehicle somewhere, it’s under automated surveillance; if someone moves your car out of the virtual fence that’s formed automatically, you will be alerted the very next moment through SMS & email. Every year, millions of vehicles are stolen. Some are taken by teenagers looking for a joyride while others are stolen by professional burglars looking to tear down the vehicle to valuable used parts. 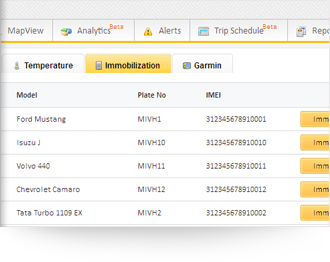 Immobilization is Sunrise Tracking’s prime anti-theft feature that lets you stop your vehicle remotely. * If vehicle is running, to avoid accidents, control center will receive a notification to wait till the vehicle slows down or stops. Equip your drivers with unique identification devices in the form of iButtons or RFid’s and limit the entry to your vehicles. Each iButton would have a unique number with which system recognizes if the person swiping is allowed into the car or not. 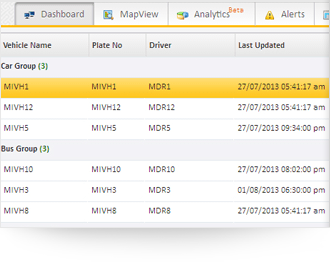 With Sunrise Tracking, you can get running history of your vehicles for upto 6 months. 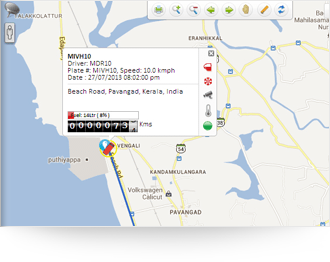 Where-all your vehicle has gone, where all has it stopped; chase your vehicle virtually through this GPS tracking feature.